Below are some of the features of our premium coolroom and freezer units. These are designed to help you acheive maximum benifit, safety and perfomance from your unit. 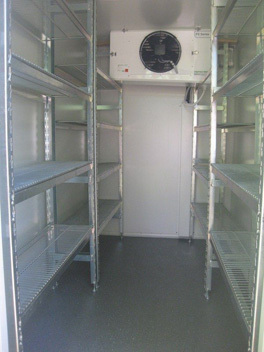 All shelving fitted within our Coolroom or Freezers meet the Food Safety Regulations. The shelving is extremely helping when organising your food and drink storage. Our 9 x 5 units have shelves down both sides, and our 6 x 4 units have shelves down one side. 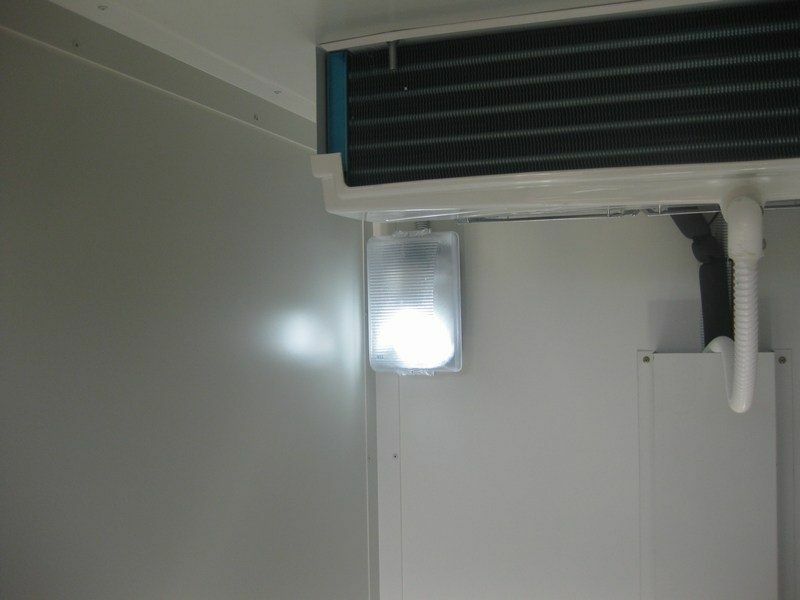 All of our coolrooms and freezers are fitted with internal lighting for your convenience. So regardless of the time of your function you will be able to see when inside the unit. 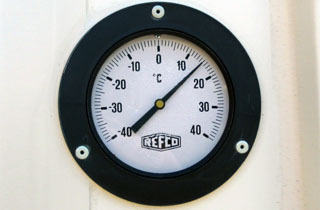 A temperature gauge is fitted on the outside of each coolroom or freezer. This allows you to see the internal temperature of the unit at all times. Temperatures are pre-set at Food Safety regulations. 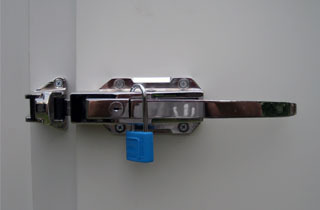 All of our coolroom and freezer door handles are fitted with a padlock for aditional secuity of your contents when the unit is not in use. 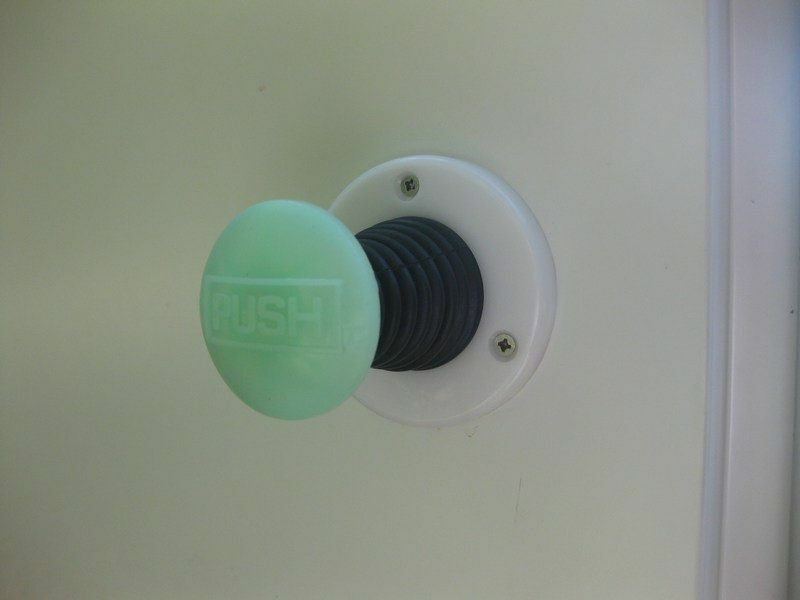 Internal emergency release handles are fitted to all of our units for your safety. The emergency handle prevents anyone from getting locked inside the unit, allowing for quick and easy exit. 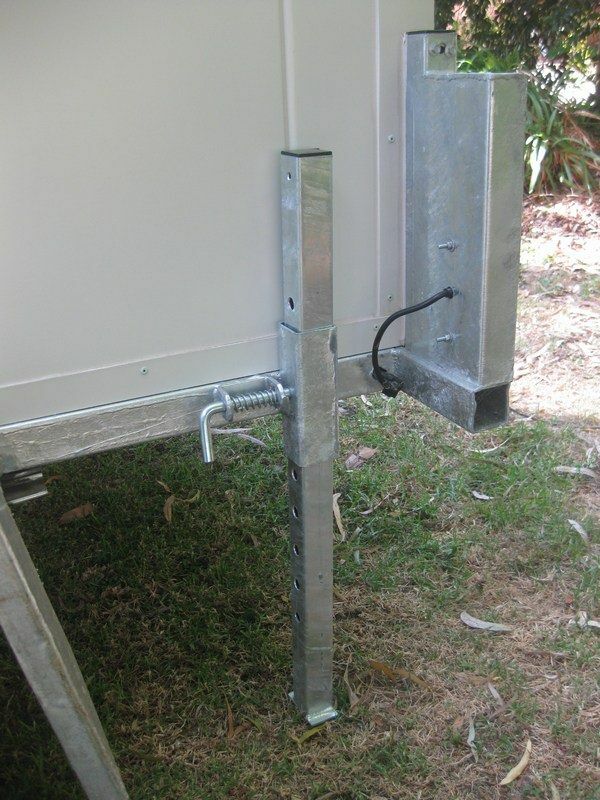 Drawbar locks are fitted once your unit is setup at your desired location. 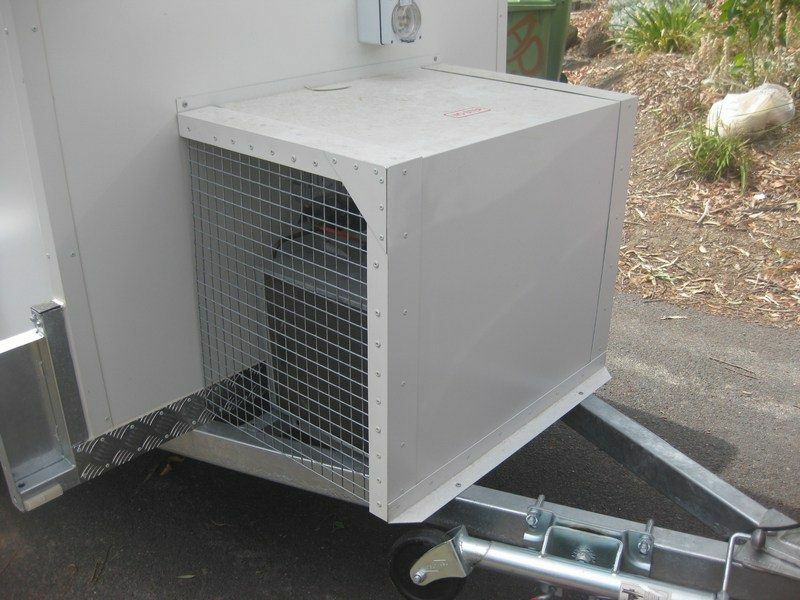 This prevents the unit from being towed away once onsite, ensuring the safety and security of your product. 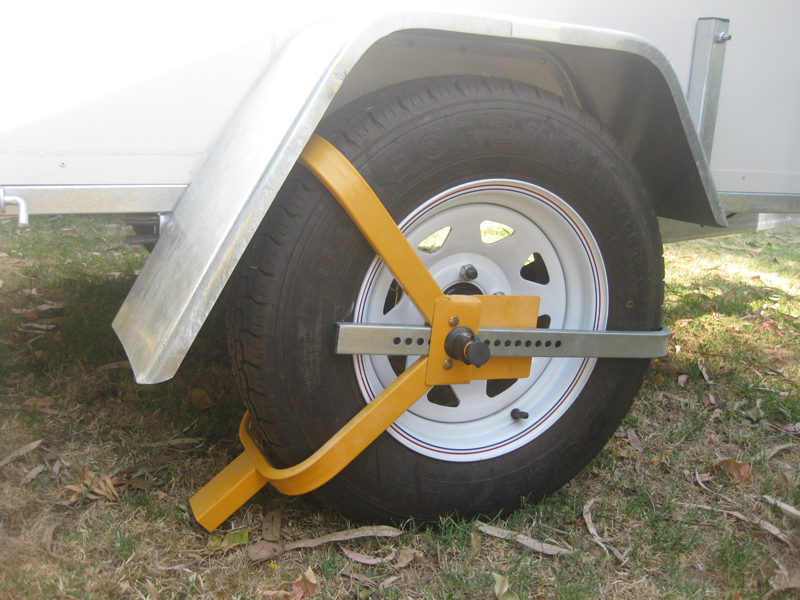 Wheel clamps are fitted once your unit is set up and in position. 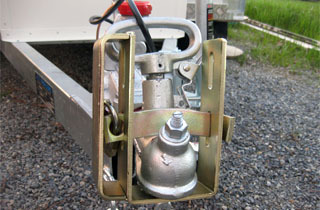 This ensures the safety of the unit and your contents at all times. A protective housing cover is fitted to all Coolroom & Freezer units. The cover ensures protection and safety of our customers. The housing also helps ensure the reliable working order of your unit. All units have rear access steps to make it very easy to safely get in and out of the coolroom units. 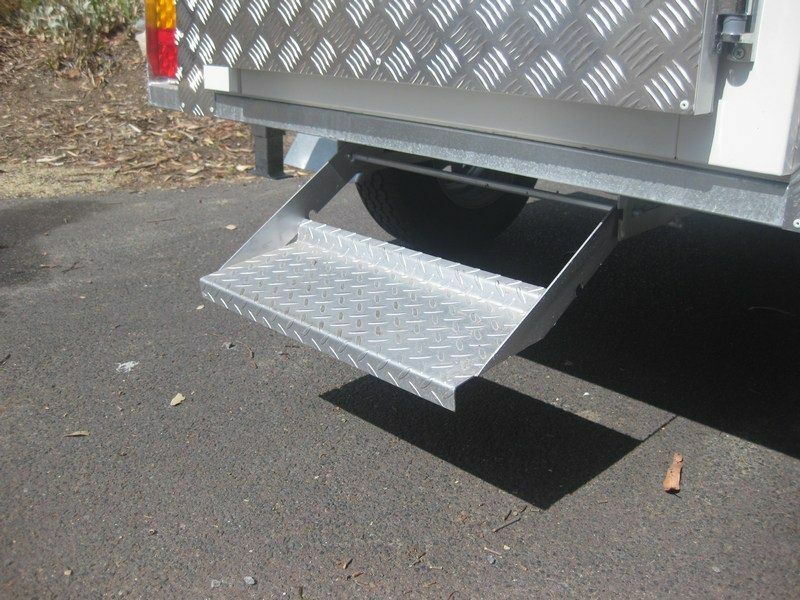 All of our units have rear stabalizer support legs to ensure the unit doesn't move and is completly stable and as you get in and out with your goods. Delivery, set-up & pick-up all included. High Quality Premium Coolrooms & Freezers. Range of coolrooms & freezers to suit your needs. All units are cleaned & sanitised before every hire. Flexible delivery and pickup times. Short & long term hire options available. "The Coolroom and service were 2nd to none. I was very pleased with A1's service & reliability."